Are you looking for a tenant for your property? BeHome is your best choice for mediation. Our services are free of charge for you, the landlord/owner! Read more about the advantages of renting at beHome. BeHome offers you a variety of packages concerning management. This way we are able to find a solution for every landlord/owner. 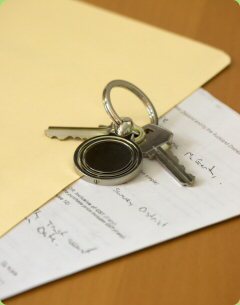 In just six steps to a new tenant. All you need to know about our working method. We have a variety of options concerning the renting of commercial real estate. By virtue of your wishes we will draft a custom made package together with you. Click here for the contact details of our offices.